Superb Anaheim, CA Lodging- The Greatest Hotel Accomodations in Anaheim! 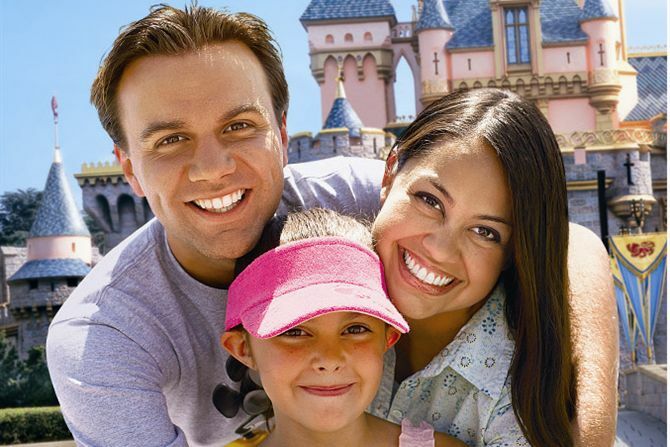 Lodging near the DISNEYLAND® Resort doesn't get any better than Candy Cane Inn. 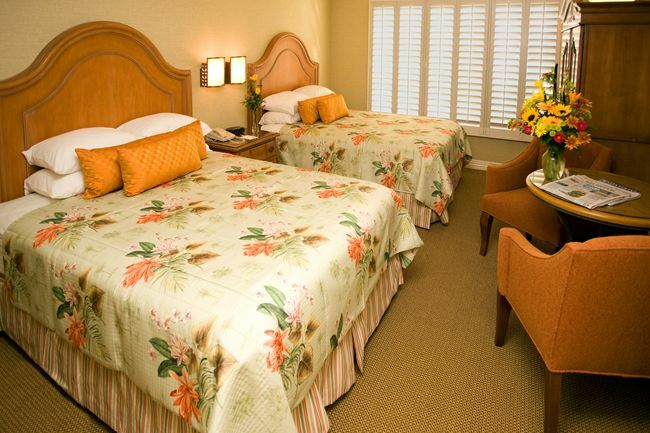 With 171 standard, deluxe and premium hotel rooms, Candy Cane Inn welcomes you with open arms. When you are among the best hotels in Anaheim for more than 50 years, you know how to treat your guests. We don't mess around with various rates in various places, we offer you the best rate for the best room in Anaheim, CA. You won't find us on the tricky travel websites, because we want to make sure that you get everything we promise without question. Make Candy Cane Inn your home away from home during your Anaheim vacation and we guarantee you won't be disappointed! 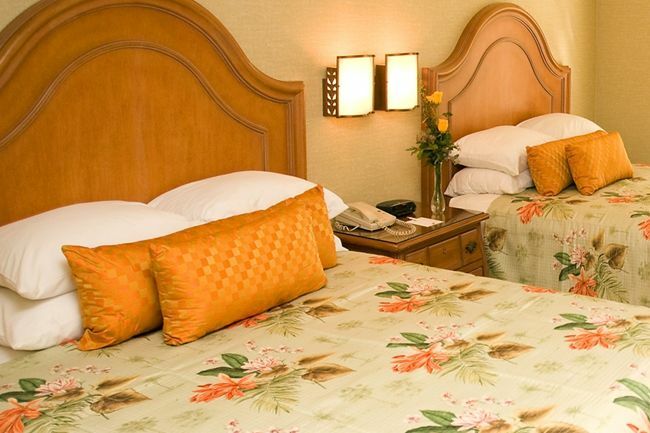 After a long day of play at DISNEYLAND® Resort or at the Convention Center, you'll sleep well in our comfortable hotel rooms, featuring invitingly cozy queen beds. You can also keep sleep in and keep the sun out with the plantation-style wood shutters featured on all windows. Greet the day with a cup of coffee or tea made in your room and enjoy a complimentary breakfast served poolside. The guest rooms at the Candy Cane Inn are a spacious 264 square feet and can accommodate up to four guests in two queen beds. Close out the outside world with gorgeous plantation-style shutters. Keep your leftovers in the in-room compact refrigerator. 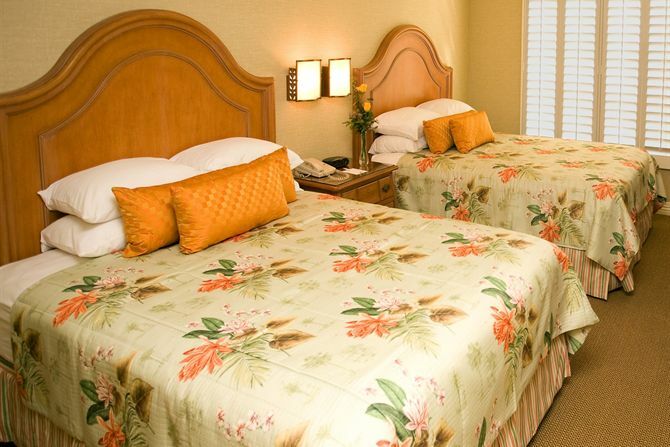 Enjoy 308 square feet of space in your deluxe room with two queen size beds and classic plantation-style wood shutters. Have the whole family or a group in town for a convention? Ask about connecting Deluxe Rooms, it's better than a two-room suite! Live the sweet life in our Premium Guest Rooms, featuring plenty of space with 350 square feet and two queen beds or you can ask about connecting rooms for twice the space.